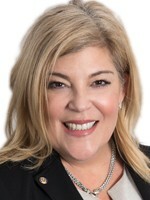 Christa Ramey is a partner at Ramey Law P.C. and has been practicing law since 2000, exclusively representing injured plaintiffs during her career. She litigates personal injury matters, including wrongful death, FELA, and automobile accidents. She serves on the Board of Attorneys of Los Angeles. She is a Vice-Chair of the Education Committee for CAALA. In addition, she is on the Steering Committee for the Loyola Law School Civil Justice Program. She is also a member of the Consumer Attorneys of California, American Association for Justice and the Los Angeles County Bar Association. She graduated from Southwestern University School of Law, where she is now an Associate Adjunct Professor of Law.